Do you have a Drain emergency in Calgary? Call us right away! We have expert plumbers available 24 hours a day, 7 days a week. Our plumbers are licenced, insured and drug tested. roper disposal of organic matter and grease is the key to keeping your drains clear. But even the most careful homeowner or restaurateur may, over time, find themselves with a drain clogged by grease and food waste. Many Calgary residents resort to pouring corrosive chemical “drain openers” down the drain. While this may work in the short-term, we must consider the impact that these corrosives have on your pipes and on our environment. The Gentlemen Plumbers Calgary can offer you better alternatives to your “plumber in a bottle.” We can snake your drain to clear blockage. Another great option is the BioSmart line of products. BioSmart contains voracious enzymes which rapidly break down organic matter, fat, oil and grease to clear the obstruction. When selecting products for drain cleaning Calgary homeowners and business owners should choose the natural alternative to corrosives: BioSmart! 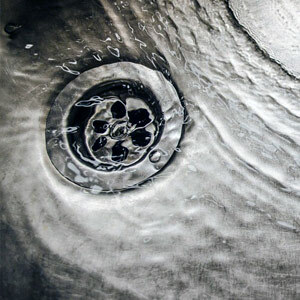 If slow or blocked drains are a recurring problem in your household or business, talk to The Gentlemen Plumbers Calgary. Unplugging your kitchen line can be done quickly and regular maintenance can ensure that you will never have to deal with emergency repairs again.